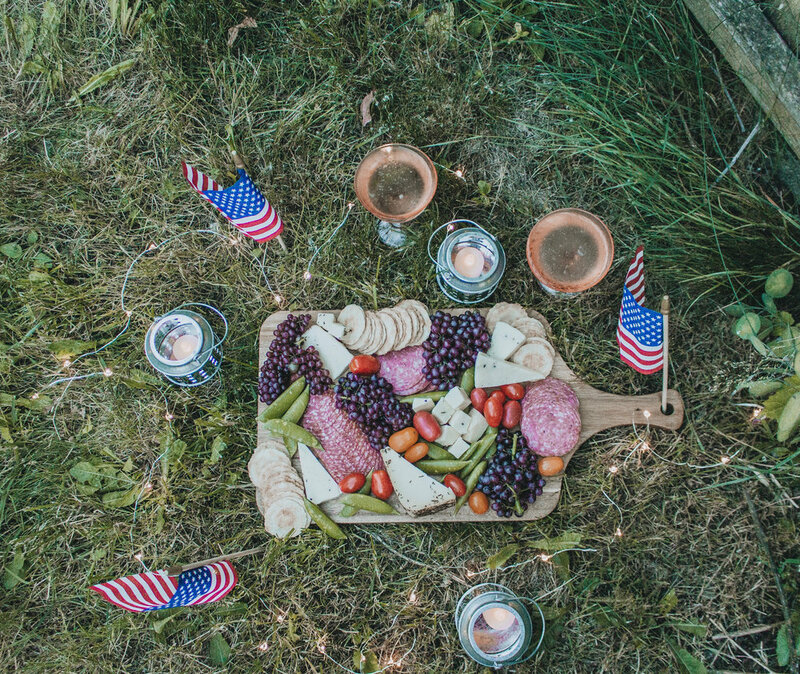 Watch the Fireworks on Fourth of July with a Homemade Charcuterie Board Picnic! 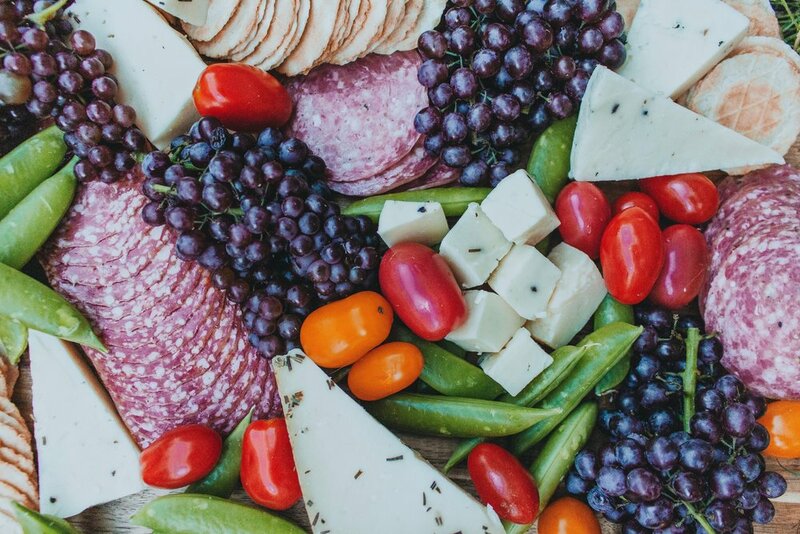 In general I am a huge huge fan of small meals and constant snacking which is part of the reason why I love charcuterie boards! It is literally a board full of yummy snacks that takes practically no time to create. 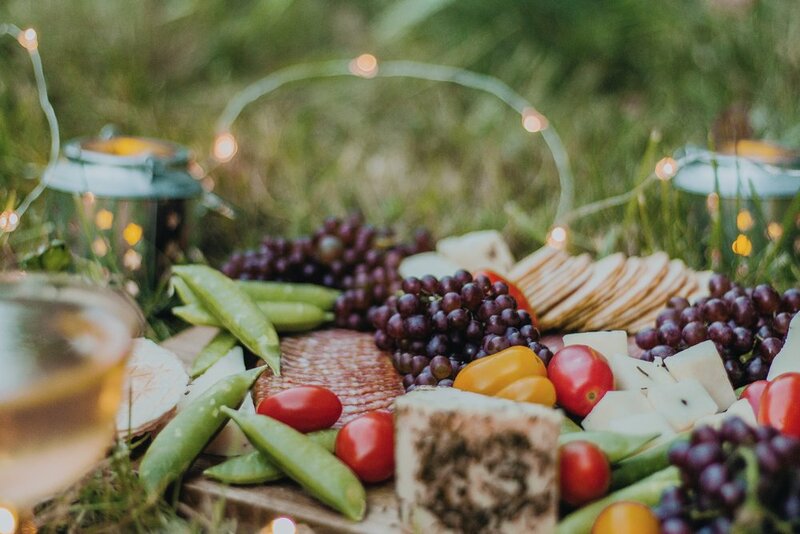 In preparation for the Fourth of July this year I wanted to share my recipe for putting together a cute charcuterie board picnic. This would be perfect for any of you who plan on heading to a park, board walk etc to watch the sun set and the fireworks go off. First of all, you need a board. Although I own fancier boards made of marble etc., i opted for a wooden one since it is so much lighter for travel purposes. You can also use a wooden cutting board as well! I got mine from Target for under $20 and it is a decent size to fit a variety of foods on it. I love cheese and salami so I picked up a few types for my board as well as some snap peas, cherry tomatoes and champagne grapes. The cheeses I used are both from Trader Joe's and are two of my favorites! Honestly I often buy them and eat them by themselves as a snack. One cheese is their Asiago Cheese with Rosemary and Olive Oil and the other is their Italian Truffle Cheese. I also added in some crackers which pair well with the salami and cheese to make mini sandwiches. To make my charcuterie board themed for the holiday, I added some fun and inexpensive decor around it. Whenever I go to Target I always check out their $1-$5 section that is located near the front door. They have some really cute Fourth of July items right now which is where I found a pack of three American flags as well as these cute candle holders with star cutouts. The candle holders came in a few colors but I purchased them in silver just so they would be more versatile for later use. In total, I was able to get the candle holders and flags for under $10! For those of you who plan on bringing this board to a public place or have kids, I definitely recommend purchasing battery operated candles. I found mine at Target and it is a great way to light up your board without having to worry about bringing matches or potentially starting a fire. I had a strand of fairy lights already so I brought those along as well. For drinks, I brought along these beautiful rose colored glasses I found at Goodwill for 99 cents each that I filled with some rosé. When making your board you can put whatever type of finger foods you like! I prepped all of my food into snack bags and tuppers and then packed it into a cooler to set up once I got there. As far as arranging the food, I found that it looks best when it is randomized and piled on high! If you end up making one, I would love to heard what you put on yours! 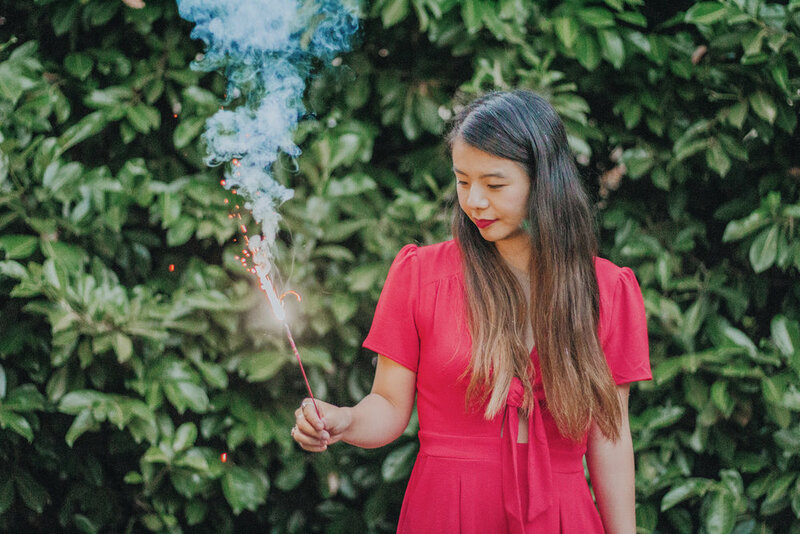 Thanks for reading and I hope everyone has a great (and safe) fourth!